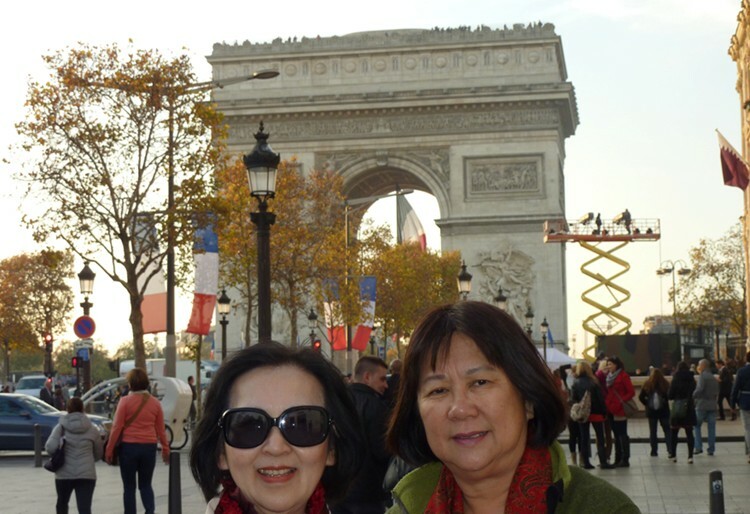 The 69 Literature classmates Cindy Jue 韓蓮美 & Siu Lan Yen莫秀蘭, after their Spanish & Portuguese tours had come to France from 6 Nov. to 12 Nov. to pay a visit to the French classmates. 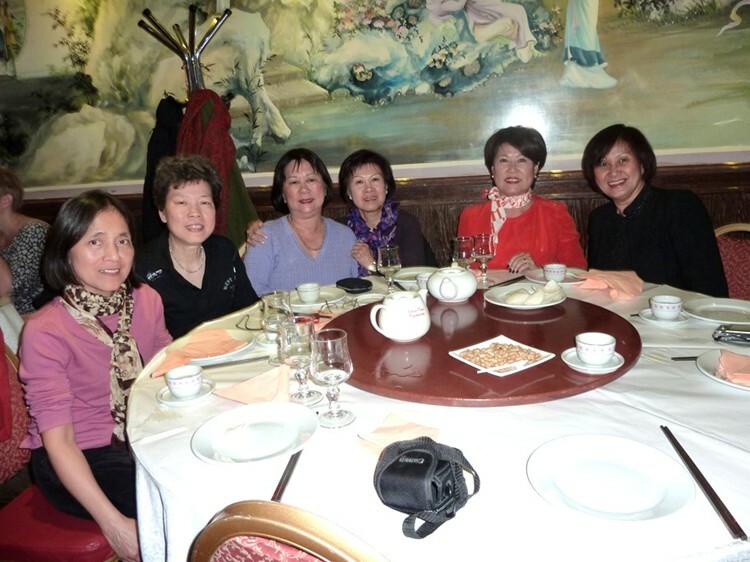 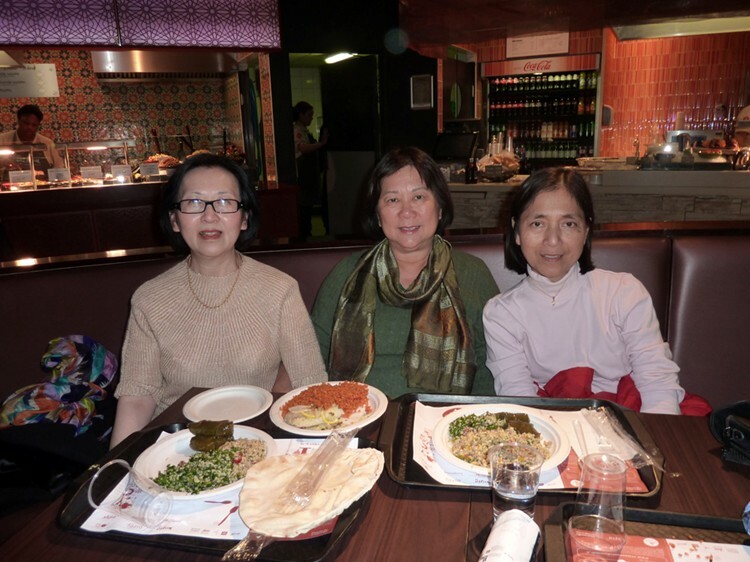 A welcome party held on the 6 Nov. evening at Paris China Town Restaurant for their behalves. 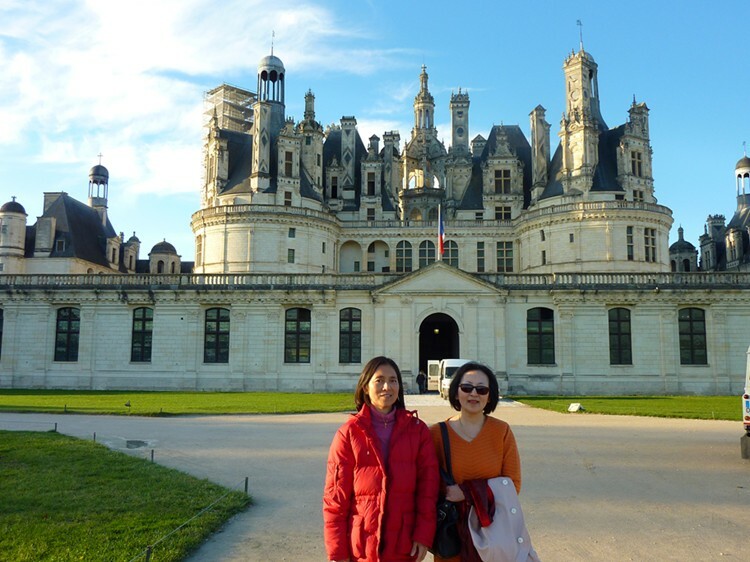 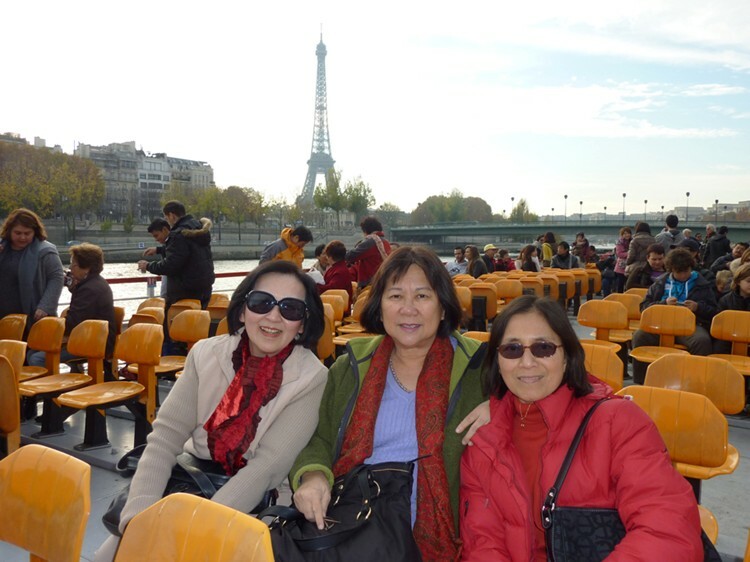 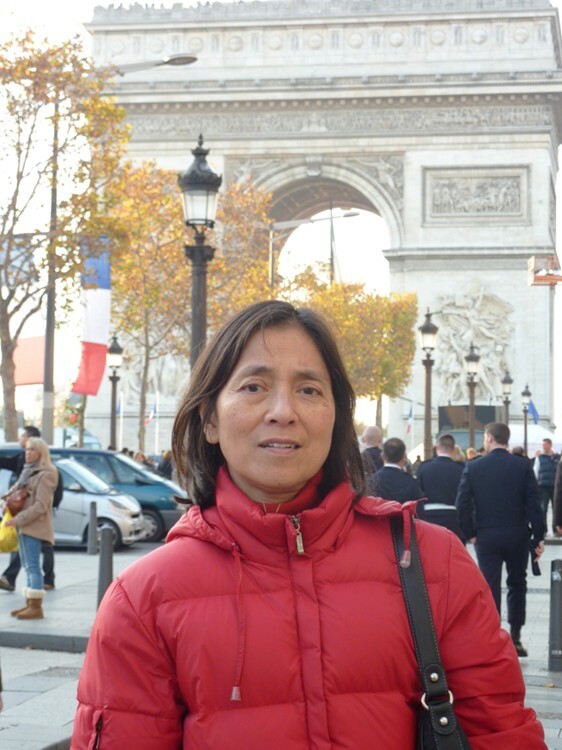 During the above mention time, Cindy & Siu Lan had visited the world wild known Louvre Museum, made the excursion to the river Seine & the Castle Chambord in the Loire Valley (160 kilometres from Paris), Avenue Champs Elysee, Lafayette Department Store, the Paris Vincent Park, etc. 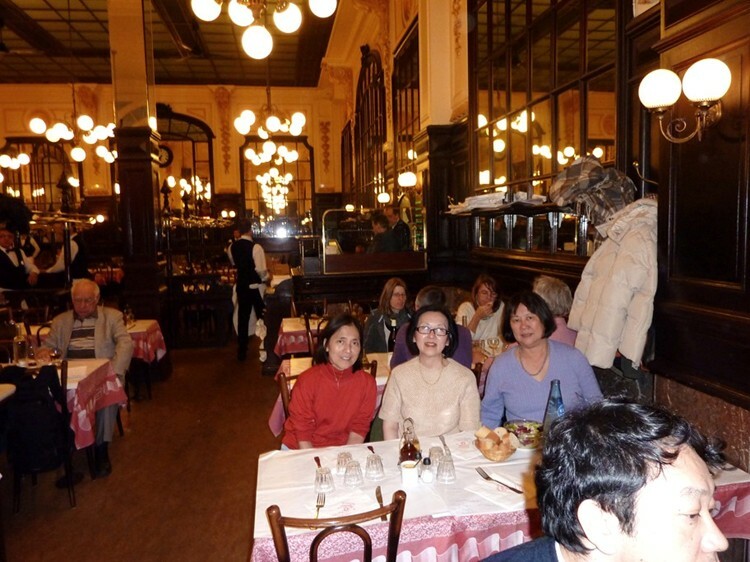 As we've known, Paris is famous for its gastronomy, fine food & wine, so attending the restaurants was one of their programs. 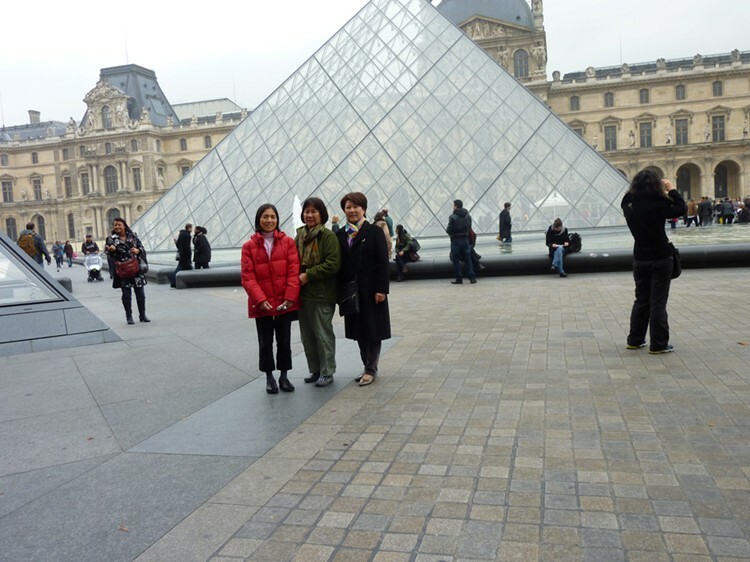 They had taken some pictures with the classmates.